Your little one will look extra adorable and stay comfortable all day long in this striped dress from Rabbit Skins! Made from 100% combed ringspun cotton 1x1 baby rib, this casual outfit will be your tot's new favorite. Customize a cute and comfy birthday dress for your little girl to wear on her special day this year. 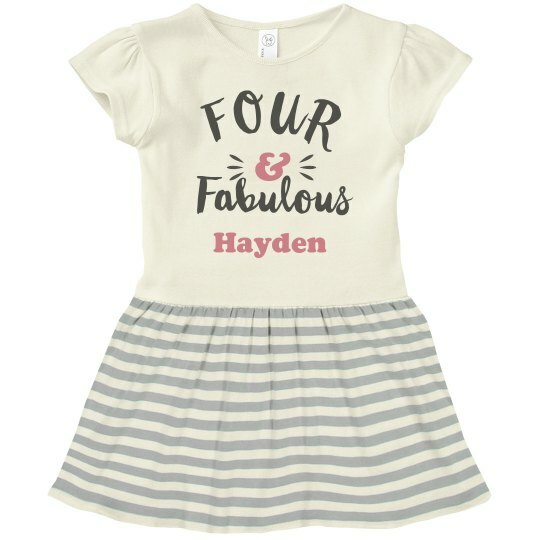 If she's turning four, then this adorable 'Four & Fabulous' dress will be the perfect outfit to celebrate in.